March 28, 2018 Home Page under construction -- suggestions please! I'm retired since 2016, after being with the Office of Technology Transfer at the SLAC National Accelerator Laboratory, run by Stanford University. OTT protects and licenses intellectual property (inventions, computer programs, etc.) and sets up cooperative research and development projects with partners commercial and non-profit, US and foreign. Our elder son, Fred S. Murphy , lives in Mountain View and works in Software QA. We enjoy his frequent visits and meals together. Our younger son, Matthew B. Murphy, his wife Jennifer Hill, and their daughter Alexandra have moved from Swarthmore, PA to Centenial College in Shreveport, LA, to SUNY-Oneonta where he is Professor of Political Science. Fayne's mother, Julia Chupack died in Stanford Hospital on December 21, 1999. She is buried at Williamsport, Pennsylvania. My mother, Margery Murphy, died September 1st 1999, in Baltimore. She is buried in Washington, D.C.
My late father, Frederick V. Murphy, was a distinguished architect and teacher at Catholic University in Washington, D.C.
Fayne's brother Steve Chupack and his wife Jeanette, have migrated from Huntington, Vermont to baronial splendor at Cape Coral, Florida, from which they explore the kayakable parts of the state. Steve is busy with indexing and and tutoring children in reading. Jeanette is enjoying the ever-increasing public acceptance and appreciation of her extraordinary paintings which can be sampled at Artid, art-exchange, Elle Belle, and American Artist. My brother John C. Murphy practices law in Baltimore, specializing in land use, contrarian activities like defending the IRS, and the history of late medieval Ireland. His wife, Frances Lewis, is well known to be the best children's dentist in Baltimore. 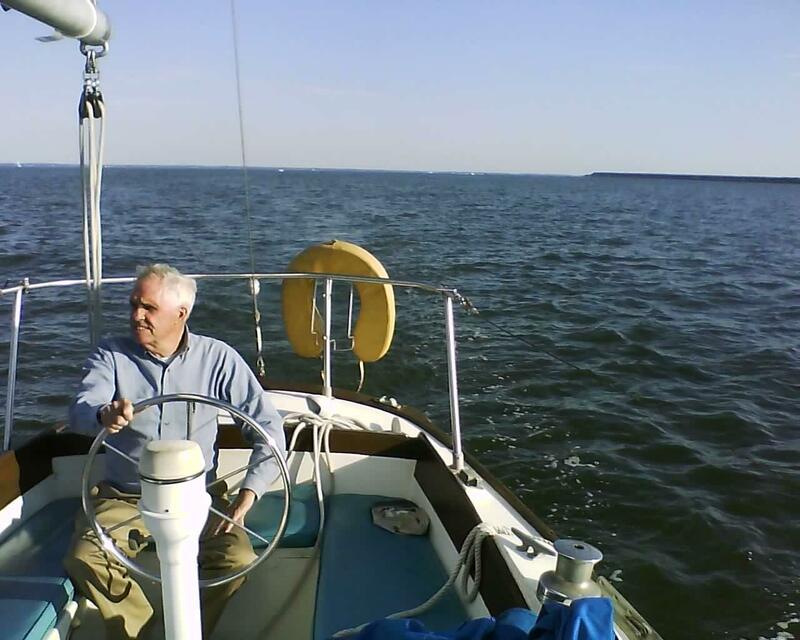 They are kept busy by two delightful daughters: Mary Professor of History at Eastern Michigan University in Ypsilanti; and and Maggie, living and working in Washington, D.C.
My youngest brother Michael V. Murphy, died unexpectedly on February 10, 2010. He was remembered at a requiem Mass at his parish church and at a memorial celebration at the Tremont Plaza hotel, attended by many his family and friends. His dear son, Patrick, followed a few months later. Michael's daughter, Julia, is married to Andy Burne and both practice architecture in NYC; their charming daughter Tabitha is filling their Brooklyn apartment. Fayne and I spent a few weeks in Europe in May 2001. We visited Matthew and Jennifer in Warsaw, briefly enjoyed Krakow and Prague, then headed south to Florence, Ravenna, Venice, and Milan. We have acquired a thorough understanding of European trains, and can advise on Internet cafes and gelato. In the summer of 2002, we enjoyed a Murphy family reunion at Bethany Beach, Delaware. The highlight of 2003 was the arrival of Alexandra Fayne Murphy on May 18th. She is the first of her generation in the Murphy-Chupack line but carries her responsibilities lightly. We refer you to the pictures and spare the 10,000 words. At six, she juggles First Grade, ballet, soccer, and her cats. At the end of May 2004, we visited the East Coast. First, Massachusetts for Mary's triumphant graduation from Mt. Holyoke, then Cape Coral, Florida, for a relaxing visit with Steve and Jeanette, and finally Baltimore for Maggie's eighth-grade graduation and visits with my brothers, their families, and friends. Our recent activities have centered around visiting and receiving visits from Alexandra, with occasional family reunions here and there. Fred is also attempting to reform the Social Security Administration. The families gathered in NYC on September 25, 2010 for the wedding of Julia Murphy and Andy Burne at the New Museum.